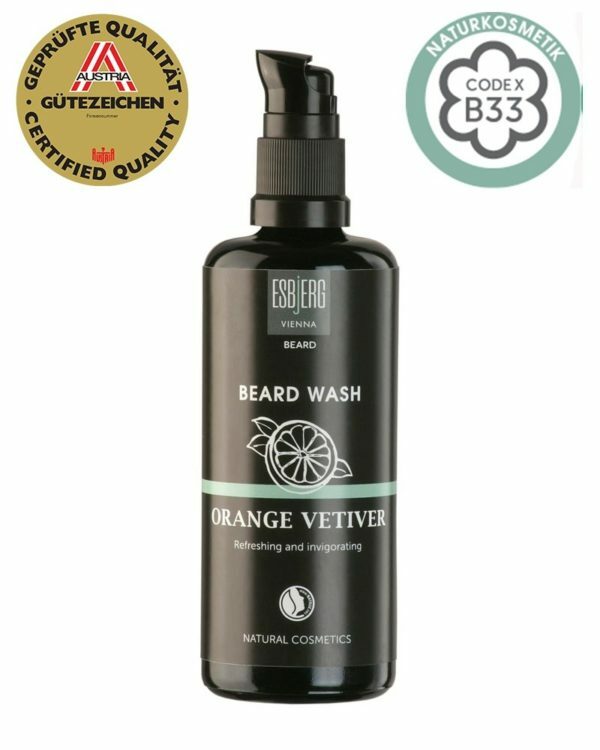 The Esbjerg Beard Wash Orange Vetiver is the perfect care for your beard. The new ultra-violet glass bottles protect the beard wash against light rays. Reduced, reusable, recyclable. A gentle touch of the perfect beard wash cleans and moisturizes deeply and shares the wonderful feeling of freshness that makes your beard look more groomed than ever. 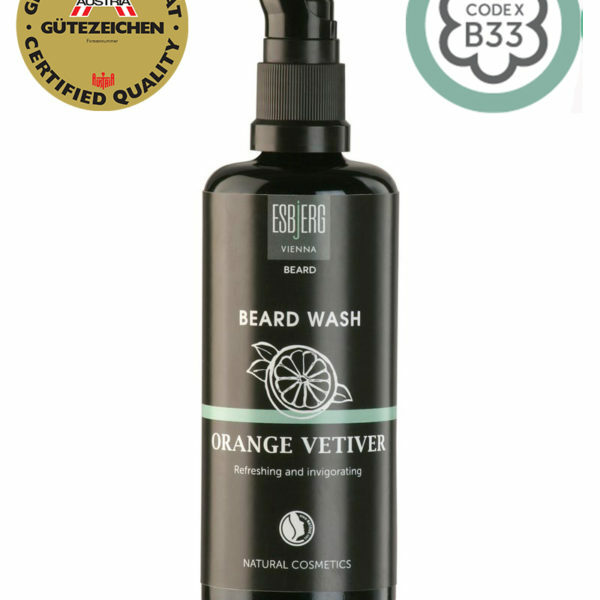 Once you try our beard wash, you will want to feel this enjoyment again and again. Orange and Vetiver create a perfect harmony for your skin. The scent is an invigorating combination and has a stimulating effect. Orange oil is a very warm scent. The oil is stimulating and brightening up your mood. The orange oil has an astringent and antiseptic effect on the skin and relieves irritated skin. Vetiver is a sweet grass, whose roots are used for obtaining the essential oil. The scent is a mysterious composition of woody and earthy fragrances, intense and herbal. Vetiver revitalizes and regenerates tired skin. Less waste: Reduced, reusable, recyclable. Our new packaging can do it all. We do not only want to produce natural products but also pack them in an environmental friendly way. Smart glass: Our glass bottles feature high-level quality and provide perfect protection for our products. The protection against light rays enables our natural products to last longer without chemical fixation. Apply to the moist beard, let the skin and the beard absorb the light soap, massage with light circular motions, and lastly rinse with warm water.